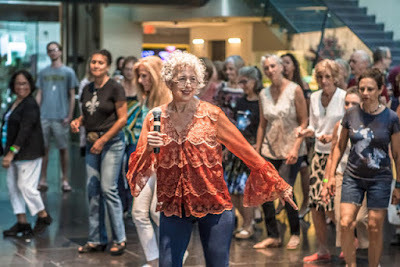 What: 4 week dance class: "Line Dance Variety"
Join the host of WRIR's "Louisiana Dance Hall" program for 4 weeks of line dance fun. Enjoy a span of music genres and their dances: from zydeco shuffle and latin to country and tango. No experience is necessary; the routines will vary from simple to moderate complexity. Talia has taught Zydeco and other southern vernacular dances for many years at Richmond's Folk Festival, as well as other venues, and she is excited to share her line dance knowledge with you. This class is held at the RVA Swing dance studio and is presented independently by Talia Moser. RVA Swing gift certificates are not valid for events and classes put on by independent instructors renting our space. Independent renters set their own prices, schedules, and policies, so please direct any questions about this class directly to Talia.